Buying diamonds can be exhilarating, but choosing the perfect diamond can have its challenges if you're not quite sure what to look for. At Essiluxgroup.com, we guide you every step of the way, making it easy for you to find diamond jewellery and solitaire diamonds that fits both your budget and your personal style. Our extensive Knowledge Base provides you with everything you need to make informed decisions on your own. A diamond's quality is typically evaluated according to four major characteristics: carat, cut, color and clarity. 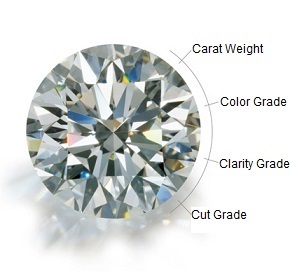 Experts rely on these characteristics, also known as the 4Cs, to objectively compare and grade diamonds. The 4C system was developed by the Gemological Institute of America (GIA) back in the 1940s and '50s, and is now considered an industry standard. The GIA is one of the world's most respected authorities on diamonds, colored gemstones, and pearls. Since the slightest change in a diamond's grading can significantly alter its value, understanding the 4Cs is key when choosing your diamond. The characteristics of one - carat, color, clarity, or cut - affects the others, which is why balancing each of the 4Cs is essential to finding the perfect diamond for your budget. In our Knowledge Base section we provide comprehensive information and details, including the 4Cs on Diamond Education, More On Diamonds, Jewellery Education and Buying Guide. Buying diamonds can be exhilarating, but choosing the perfect diamond can have its challenges if you are not sure what to look for. We will make it easy for you to find diamond jewellery that fits your budget and personal style. Learn about the important factors to help you choose the best diamonds. 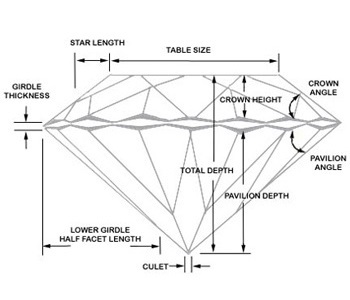 Learn about the anatomy of a diamond, fluorescence, diamond polish and diamond symmetry. Who doesn't love the shine of gold, silver and platinum jewellery. Learn all about precious metals. 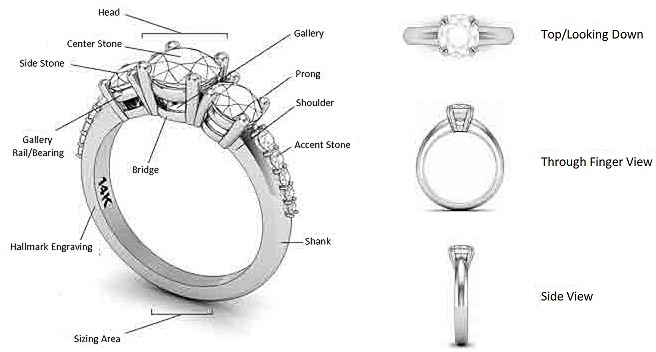 Also, learn about diamond setting types, design details, finishing types, safety locks, ring anatomy and chains & clasps. Use this Buying Guide to learn about engagement guide, how to choose a diamond and avoid common diamond buying mistakes, bidal sets, colored diamond value and investment.